When I began my tactical JRPG kick, Fire Emblem was one of the first series I wanted to try. As a fan of the Persona series and after enjoying the fun tactical smartphone JRPG X-Tactics, Fire Emblem’s combination relationship and tactical mechanics sounded right up my alley. Fire Emblem Awakening may not be the most recent Fire Emblem game, but it doesn't take away from being a tactical JRPG triumph. With a well thought out and unique tactical battle system and twist-filled plot full of interesting characters, I was captivated with Fire Emblem Awakening from start to finish. Fire Emblem Awakening’s story begins in the midst of a war between nations as the amnesiac Avatar (the customisable playable character) awakens in a field and is found by the royal family of the Ylisse nation, consisting of the strong-willed prince Chrom, his loyal knight Frederick and the light-hearted princess Lissa. The tactically-skilled Avatar quickly joins the nation's army and becomes a key member thanks to their ability in battle, which begins the epic and emotional story of Awakening. 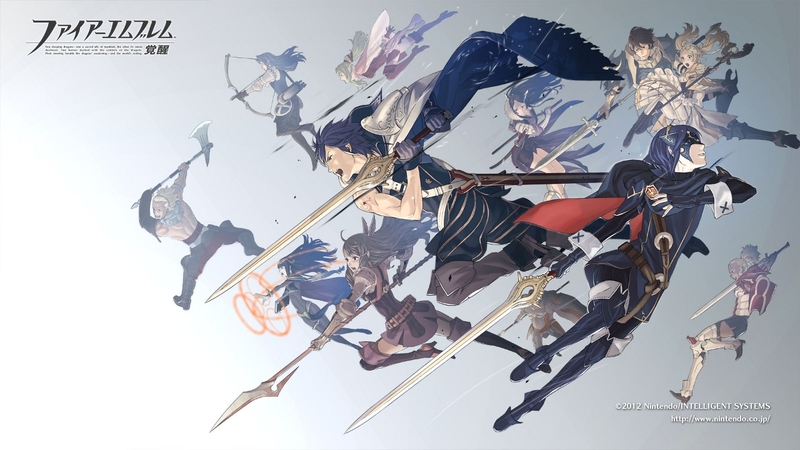 Fire Emblem Awakening goes beyond being a typical war story though, with an undertone of exploring the idea of fate and who can change the future adding uniqueness that style of story. Enhancing the story's biggest moments are the beautiful 2.5D style cutscenes and animation that really raise the biggest moments in Awakening to new heights and Awakening's cast of characters that strike a good balance between being likable and strong. 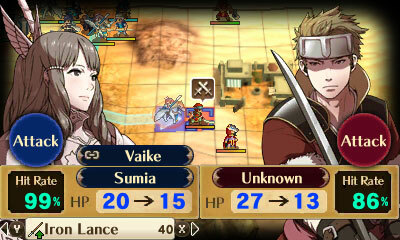 Complimenting Fire Emblem Awakening’s war story is its interesting and deep tactical battle system. Using Awakening’s large and diverse range of customisable characters and classes, each battle has your army and an opponent's fighting one another to either take out the army leader or the entire enemy army. Fire Emblem is known for its ‘rock, paper, scissor’ system where certain weapons and classes are better against each other, much like elemental spells in other JRPGs. It's an interesting way to decide which weapons to equip as I'm too used to in a lot of JRPGs picking the strongest weapon and dominating for a portion of the game. The new way of thinking when buying and equipping weapons was appreciated and saves some challenge for all parts of the game, whether you've been grinding your characters or not. I also liked that characters can equip up to 5 different spells and weapons, with each of them losing durability after each use making me plan carefully whether using a spell that may break completely was really worth using. Apart from the fighting part of the battle system, my favourite aspect of the tactical system was pairing characters together to assist each other. This adds another layer to the battle system, with the relationship between the characters deciding how much of a benefit would be received from pairing certain characters. These benefits include how often attacks are stopped by a partner or having a potential extra hit or two on the enemy. It sounds like a lot to think about, but these mechanics work so seamlessly together that even new Fire Emblem players like myself should be able to pick them up easily enough. Relationships were a big part of my Fire Emblem Awakening experience, especially since I enjoyed the Support System so much. 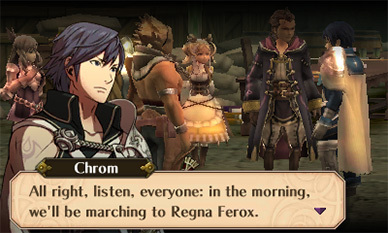 The Support System gives a unique opportunity to get to know the characters and world of Fire Emblem Awakening through bonus dialogues while leveling up your relationship with the character to help in battle. 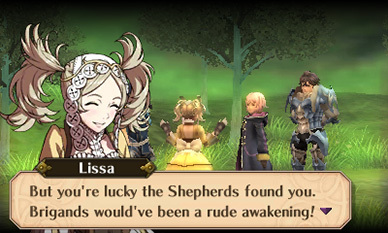 There are many pleasant surprises to this system that I won't spoil, but the characters unlocked were great motivation to continue through the conversations and some of my favourite characters such as amusingly evil Tharja and the sweet-loving thief Gaius wouldn't have left such an impression on me without this exploration into Awakening's well-rounded characters creating different romantic and platonic relationships. On top of the pleasant surprises found in battle and in its support system, Awakening provides plenty of replayability through gameplay difficulty, modes, a New Game Plus-like system and its various support pairing options so you can enjoy these for as long as possible. There are Normal, Hard and Lunatic difficulties to challenge yourself with, with Normal giving a significant amount more lucky evasion moments and Lunatic requiring a lot more tactical skill and strategy for each level to avoid constant character death. There's also the Classic and Casual game modes, with Casual allowing players to keep their knocked out units, while Classic implements ‘permadeath’, which doesn't affect the story but means the ‘dead’ units can be killed in battle and not used for the rest of the game. 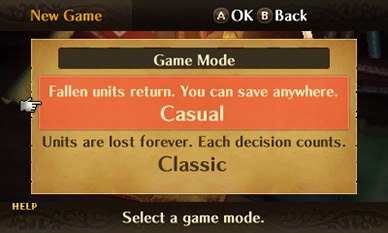 I played a combination of Normal difficulty with the Casual setting as it was my first Fire Emblem and still found enough challenge to not feel like I was being babied through the game, but I'm considering going back and trying Classic with the Lunatic difficulty for a true challenge to what most long-time Fire Emblem fans are more used to. If the gameplay and story weren’t good enough, the cherry on top of the experience would be Fire Emblem Awakening’s beautiful music, voice acting and cool 2.5-D anime style cutscenes. Because the game takes advantage of the 3DS’s 3D functionality, Awakening’s biggest moments are both visually and sonically dynamic. Throughout battles is the great music composed for the game, with epic orchestral pieces in battle making things even more exciting and I literally got tingles hearing the final boss music for the first time. Awakening also offers both the English and Japanese voiceover tracks and both use really great voice actors that portray their characters really well. If you’re looking for a fun, complex yet intuitive tactical JRPG, look no further than Fire Emblem Awakening. The tactical battles were as fun as they were unique, especially thanks to the support system where I could make good use of my time and characters on and off the battlefield. I played Fire Emblem Awakening for 60 hours, but I leave its world greatly looking forward to the next Fire Emblem challenge I play. It's tactically great, has a great plot and is well worth pulling out of the backlog. For those with a 3DS and tactical JRPG tendencies, the high quality of Fire Emblem Awakening's battle system and support systems is very satisfying. What did you think of Fire Emblem Awakening? Which other Fire Emblem games would you recommend?